Mamata Banerjee made the allegation while inaugurating a Rs 60-crore-skywalk at the famed Dakshineswar Temple in Kolkata. 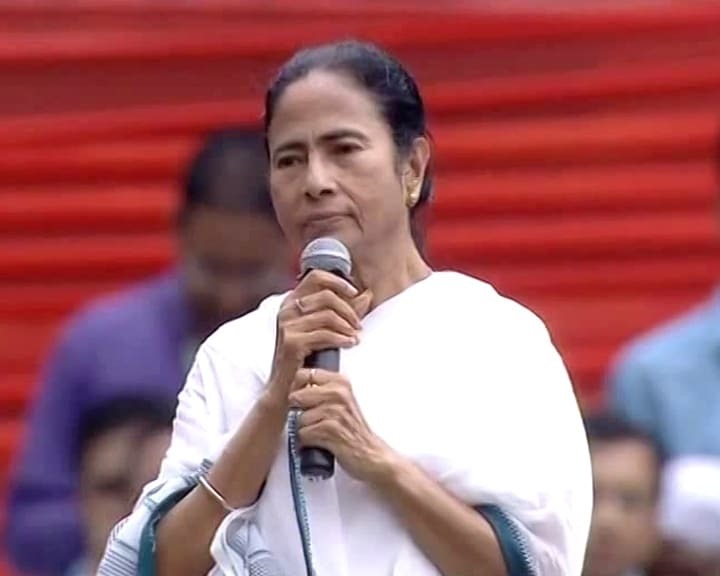 West Bengal Chief Minister Mamata Banerjee on Monday slammed the BJP for "mixing religion with politics in all development programmes" and "delaying" important projects. Ms Banerjee made the allegation while inaugurating a Rs 60-crore-skywalk at the famed Dakshineswar Temple in Kolkata after Rani Rasmoni, its founder. The Dakshineswar Rani Rasmoni skywalk would facilitate thousands of people who visit the temple everyday, she said, while accusing the opposition parties in the state - the BJP, CPI(M) and Congress - of "just doing politics" by opposing projects and provoking hawkers. On BJP, she said, "The saffron party has no work other than opposing development activities and dividing people on religious line." "Religion is an individual matter for all, but festival is for everybody. There is no place for religion in any festival, in which everybody is entitled to participate," Ms Banerjee said. Stating that the Dakshineswar temple would soon emerge as an international religious tourist spot, Banejee said her government would take the initiative for more skywalks at Tarakeswar, Tarapith and other places in the state for the benefit of the visitors. The 340-metre-long and 10-metre-wide skywalk comprises of 14 escalators and four lifts to facilitate visitors. The Trustee Board of the Dakshineswar Temple has also been given Rs 19 crore for the development of its 'ghat' on the bank of the Hooghly, Ms Banerjee said. Tender has been floated to introduce a light and sound arrangement at the temple premises to showcase the contribution of Rani Rasmoni and the roles played by many eminent persons since the Bengal Renaissance.